Vision loss is happens to just about everyone. Whether you’ve been wearing wearing glasses since childhood or recently started experiencing vision loss, you’re one of the 1.3 billion people are living with some level of vision impairment according to the World Health Organization¹. No matter the source of your vision loss, there are ways to improve your eyesight and see more clearly once again. 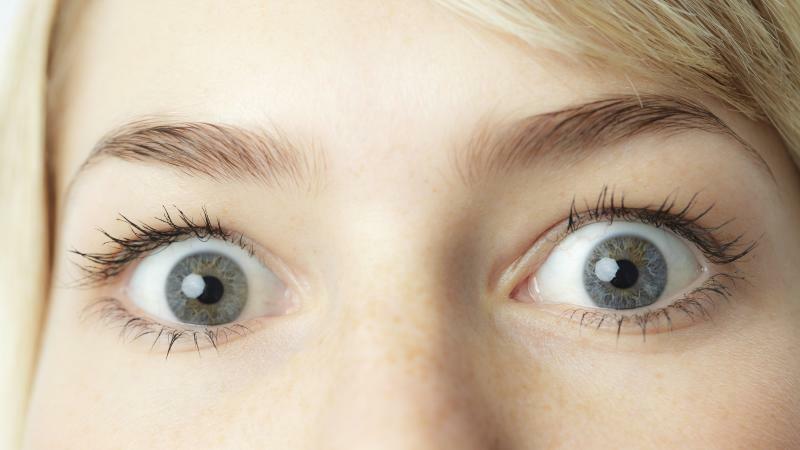 Here are four ways you can get better vision in no time. Plastic disposable contact lenses are one of the easiest ways to correct your vision in mere seconds. Comfortable, flexible, and breathable, today’s contact lenses are transparent disks placed on the surface of each eye. Pop in a pair and they’ll instantly enhance your vision by allowing light to properly hit the retina. Whether you’re far- or near-sighted, your doctor can prescribe a contact lens that will fix your impairment. Even those with an astigmatism can use contact lenses. Of course, contacts are only a temporary solution; they only perfect your vision when worn. Contact lenses are an affordable vision solution. In order to start wearing contacts, you’ll need to get your prescription from your doctor. Your doctor will likely also recommend contacts that are a good fit for you and your vision needs. Once you’ve had an eye exam, 1-800 Contacts² estimates that someone with basic contact lenses can expect to pay $30 per box. Each box typically comes with three to four pairs of contacts. Want to pay even less? Check with your insurance company. Some insurance providers will cover not only the contact lenses but also your annual eye exam, making your contacts entirely free. Vision insurance typically covers a portion, if not all, of the cost of a year’s supply of contact lenses. Lasik eye surgery is a surgical solution for correcting vision impairment. Both safe and effective, Lasik (also known as laser eye surgery) is a painless procedure that corrects your vision loss with the use of lasers. During the procedure, a specially trained ophthalmologist uses a precision instrument to lift up a thin layer of the cornea. Then, a small portion of corneal tissue is removed and a specialized laser reshapes the cornea. The entire procedure takes just 15 to 20 minutes to complete both eyes. After undergoing the surgery, most patients notice a significant improvement immediately. However, the healing process can take a couple of weeks. Lasik can be affordable, but it’s important to note that it isn’t covered by the vast majority of health insurance plans. On average, All About Vision³ estimates the cost of Lasik for each eye to start at $2,088. If you do your research, you can likely find a Lasik center offering financing options or lower rates, so make sure you comparison shop beforehand. Lasik comes with few disadvantages and side effects. Common side effects experienced after the procedure can include light sensitivity, itchy eyes, dry eyes, and discomfort. You may also see a glare and halos, which will gradually fade away as your eyesight stabilizes. Visian intraocular lenses, which are surgically placed behind the iris. Verisyse lenses, which are placed directly onto the iris. Both procedures can improve your eyesight completely. Your surgeon will assess your condition to determine which one is best for your eyes. Implantable lenses are rather costly, so the biggest drawback is perhaps affordability. The price tag generally ranges between $3,000 and $5,000 according to DocShop.com⁴. Since implantable lenses are an elective surgery, you won’t get any help from your health insurance. Because this is a surgical procedure, there are some side effects that occur after the procedure is complete. You’ll need time to heal, and during the healing process you’re likely to experience common side effects like irritation and pain. You’re not out of options if you have cataracts. Your ability to see the world can be restored through cataract surgery, which is an effective procedure that clears up your vision by replacing your affected lenses. After numbing the area with eye drops, the ophthalmologist uses ultrasound energy or laser-assisted technology to get the job done safely and efficiently. Although cataracts are difficult to treat, cataract surgery produces great results. The bad news is it won’t necessarily enhance your eyesight if there’s underlying eye damage. Also, you could experience side effects, including temporary bleeding, redness, infections, distorted vision, and posterior capsule opacification. If you’re concerned about the cost of cataract surgery, you’ll be delighted to know your out-of-pocket cost can either be reduced or eliminated by insurance. If you’re not insured, you can expect to pay a between $3,600 and $6,000 according to BetterVisionGuide.com⁵. The biggest factor is the intraocular lens you’ll need during the procedure. Your ophthalmologist may recommend toric lenses, accommodating lenses, aspheric lenses, or multifocal lenses, and each type comes with different fees. If you’re interested in improving your vision, start a search today. 1 World Health Organization, Blindness and Vision Impairment 2 1-800 Contacts, How Much Do Contact Lenses Cost? 3 AllAboutVision.com, LASIK Eye Surgery Cost 4 DocShop.com, ICLs Cost and Financing 5 BetterVisionGuide.com, How Much Does Cataract Surgery Cost?